Dr. Williams graduated from Texas Christian University in Ft. Worth, Texas. She then attended the Southern College of Optometry in Memphis, Tennessee, where she was awarded a Doctor of Optometry degree. She received specialized training in contact lenses and low vision. 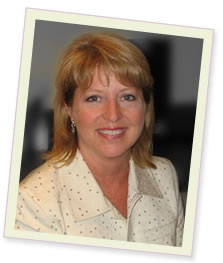 Dr. Williams has participated in clinical projects for Alcon, Bausch & Lomb, and Ciba Vision. She has also been published in the national optometric magazine, "Contact Lens Spectrum". She is currently performing refractive co-management procedures for Lasik patients in conjunction with several national laser correction centers. Dr. Williams is currently a member of the American Optometric Association, the Missouri Optometric Association, Central Missouri Association, AOA Contact Lens Section, Optometric Refractive Surgery Society, the Chamber of Commerce, and the Women's Network Group. Dr. Joseph D. Rich is a native of Warrensburg, Missouri and graduate of Southern College of Optometry in Memphis, TN. Joseph began his optometric career as a lab technician and optician in high school and continued this work throughout undergrad at University of Central Missouri where he majored in Biology and minored in both Chemistry and Business Management. During optometry school, Dr. Rich divided his free time between work, school, and volunteer activities. It was at SCO that Joseph was struck with an interest in the optometric specialties of Vision Therapy, Sports Vision, and Ocular Disease. Because of these interests, Joseph dedicated his final year of optometry school in practices across the coast learning from world-renowned doctors exemplifying in each specialty to further increase his optometric knowledge and better serve the community as a leader in optometric care. When not reading or watching his favorite sports teams, Dr. Rich keeps active by going to the gym, riding his bike, volunteering, and wrestling with this three boxers Ellie, Ace, and Bella-Louise.